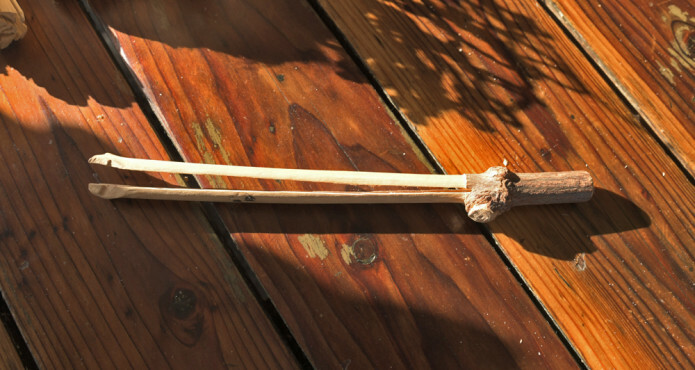 Join us for a series of special events connected to our latest exhibit, “Tevaaxa’nga (Te-vaah-ha-nga) to Today: Stories of the Tongva People.” In this workshop, Tongva artist Craig Torres will lead a workshop where participants can create clapper stick instruments from elderberry bush branches. This workshop is recommended for adults, and children 8 and up. Craig Torres is a consultant on the Tongva as well as an artist and cultural educator who often presents at schools, museums, culture and nature centers, as well as state and government agencies. Torres is also part of the Chia Cafe Collective, which is a grassroots group of Southern California tribal members committed to reviving Native foods, medicines, culture and community.